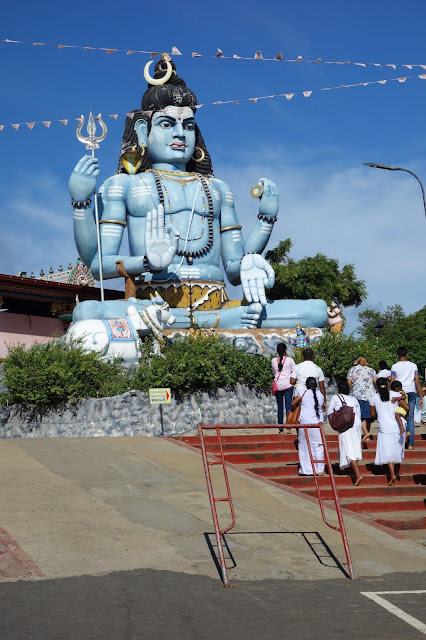 Thirukoneswaram, or the Holy Koneswaram Temple, is a Hindu temple in Thirukonamalai (Trincomalee) on the east coast of Sri Lanka. The temple lies on a high rocky promontory surrounded on three sides by the sea. It bears a history of over three millennia with its records indicating its roots in 1580 BC. This, still beautiful, historical monument is what remains of what once was a sprawling temple city equal to the ancient city of Madurai, India. 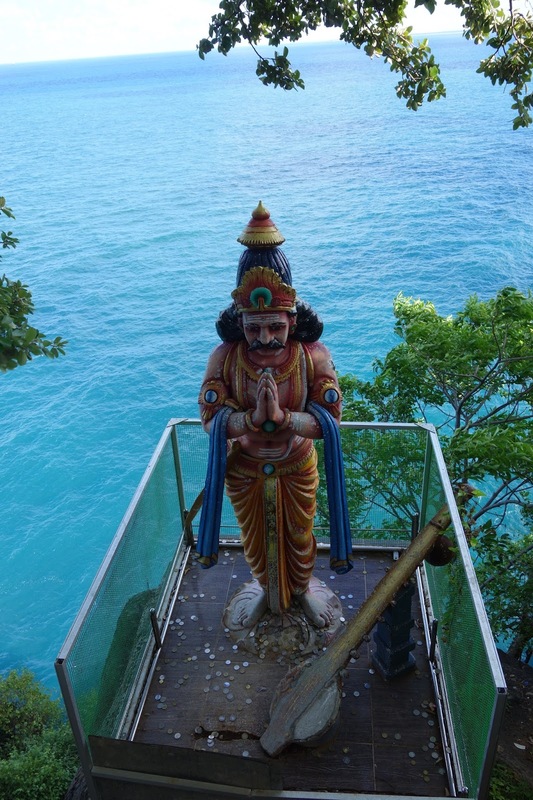 Koneswaram gains its name from the main deity of the temple, the Hindu God Shiva. Shiva, who is also called Eeshwar or Eeshwarar, reigns over the mountain of Holy Konam (Thirukonamalai (Tamil): Thiru – Holy; Konam- Name; Malai – Mountain) hence giving the name Thirukoneshwarar (Thiru-Kona -Eeshwarar). The name ‘Konam’ is believed to have come from the Old Tamil word meaning ‘peak’. Another name given to the temple is ‘Dakshina Kailayam’; a Sanskrit name meaning ‘Mount Kailash of the South’. Some also call it ‘Aathi Koneswaram’, where ‘Aathi’ is the Tamil word for ancient. A 17th century stone inscription in the temple states that the temple began its history in 1580 BC. Though this is unconfirmed, the truth remains that the ancient cave shrine that lies beneath the pinnacle of the mountain points towards a history well predating the Sangam Period. It is also a confirmed fact that Koneswaram was a well established and popular temple during the arrival of the exiled Indian prince Vijayan during the 6th century BC. On the other hand legend states that King Ravana, along with his mother, was a devout worshipper of Koneswaram. Ravana is also supposed to have created the hot springs of Kanniya as part of Thirukoneswaram, for the last rites of his mother. King Ravana was a legendary emperor of Sri Lanka who is believed to have lived over 5000 years ago. If this legend were to be true, then that would indicate that the temple was alive and thriving for over 5000 years. Koneswaram was one of the five Eeshwarams that dominated the ancient landscape of Sri Lanka according to the 16th century Portuguese historian Diogo de Couto; along with Ketheeshwaram, Munneshwaram, Naguleshwaram and the now destroyed Tenavaram.The Indian exile and Sri Lankan royalty, Prince Vijayan, and his followers are also said to have renovated the temple on their arrival to the island; according to the 18th century Tamil historical chronicle, Yalpana Vaipava Malai. The true rise of Koneswaram however occurred in 205 BC when the Chola king Elara Manu Needhi Cholan renovated the temple creating a temple complex that mirrored the Dravidian temple cities. The city was built as huge temple city with the Thirukoneswaram temple at its centre. The city was entered through gates that were housed in smaller temples, and the walls surrounded fields and various shrines in addition to the homes of occupants. 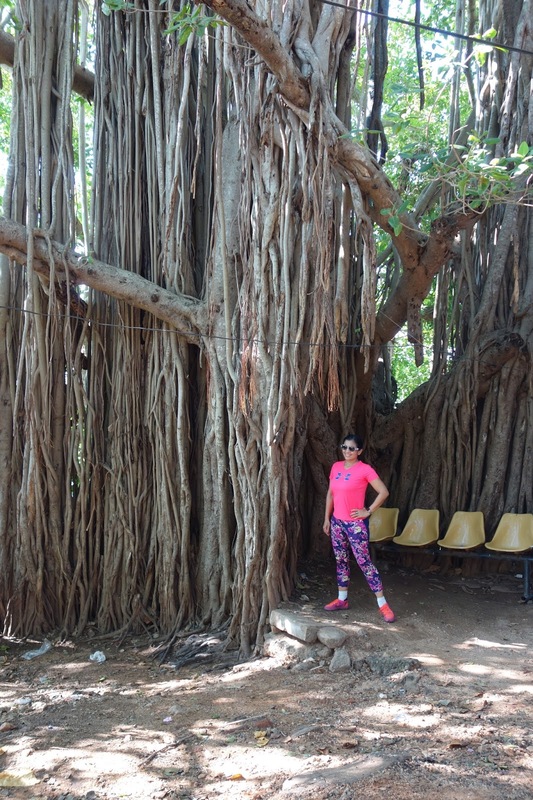 The temple complex/city covered most of Trincomalee as it is now. The pilgrimage path was 225km long and was traditionally travelled by foot. There were separate shrines and temples for gods and goddesses like Ganesha, Padrakali, Vishnu/Thirumal, Shakthi, Suryan (Sun), Murukan and also King Ravana. The main temple of Koneswaram was created, on the summit of the rocky promontory, with hard black granite (Karungal) which was skillfully carved with classical temple bas relief sculptures by Indian temple architects and sculptors. One of its finest features was its Thousand-Pillared hall which was used to host religious and cultural events. The hall was so famous that the Portuguese who visited temple called it the Temple of a Thousand Pillars. The fame of Koneswaram continued to rise through the next millennium. 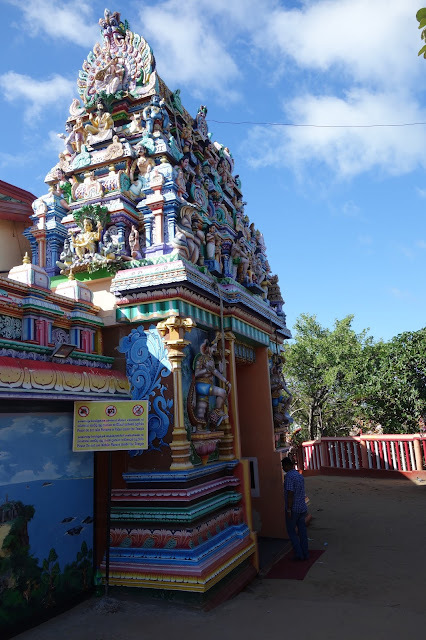 The temple was one of only two non-Indian temples that were praised by the great 6th century AD Hindu poet-saint Sambandhar in his Tevarams, the other temple Thiruketheeshwaram also being in Sri Lanka. Records from the Kingdom of Anuradhapura in the 4th to 7th century AD and the Kingdom of Jaffna which rose between the 12th and 17th centuries AD; as well as records from the Chola, Pallava and Pandya Kingdoms of India show that kings from over a millennia both donated, contributed and made renovations for Koneswaram. Another famous Hindu saint to pay homage to Koneswaram was the 15th century saint Arunagiri Nathar. The interesting fact about this is that Arunagiri Nathar primarily worshipped God Murugan, the Lord of Love and Beauty, and the son of God Shiva. Yet this was one of the very few instances where he praised and sang for another god. The temple of Koneswaram was well known to the Portuguese. The famous author and Portuguese Catholic priest of the period, Fernão de Quieroz, described the temple as ‘the Rome of the Pagans of the Orient’. Despite the Portuguese respecting the famed temple, all it took was a single piece of stone to disturb the seemingly still waters. In this case the stone was the Dutch. The Kingdom of Jaffna had been paying a protection fee to the Portuguese to prevent them from destroying the historical temple. When the Portuguese-Dutch war began early in the 17th century, the Portuguese wished to strengthen their position in Asia by building a fort in Trincomalee; which had one of the best and most centralized natural harbours in Asia at the time. However the king of Jaffna at the time, King Ethirimana Cingam, refused to assist in building the fort. The incensed Portuguese made war on Jaffna. They conquered it after several years of difficult battle during the reign of the last king of Jaffna, Cankili. The reign of terror then began as the Portuguese took their revenge by destroying over five hundred Hindu temples and shrines, the Saraswathie Mahal Library and various other relics and structures in the area. Koneswaram was destroyed on the 14th of April 1622, during the Tamil New Year Day festival massacring many devotees who had been attending the religious ceremonies. Soldiers camouflaged as priests entered the temple and ransacked it of over two millennia worth of treasures in the form of golden statuettes, other gold items, gems and expensive silks. As one of the richest temples at the time, the loot was counted to be one of the biggest in the history of Asia. Meanwhile, the panicked priests (the real ones) took as many of the remaining idols and statues, which has been part of a procession, and buried them into the ground around the temple grounds to avoid their destruction. Then some fled the massacre while some took the path of suicide, unable to escape. The temple was destroyed and most of it was pushed into the sea. The remaining stones were used to build Fort Frederick two years later resulting in a complete destruction of an unrecoverable relic. The bare promontory was later called Swami’s Rock and during the Dutch era no ceremonies were allowed on the rock. However during the British rule the ban was lifted and pilgrims once again trod the land as they did for many millennia. By the mid 19th century the site was once again famous as worshippers gave their offerings and prayers to the ruins of the temple in the sea below. Over three hundred years after the destruction of the temple and just a couple of years after Sri Lanka was released from the hands of the British rulers (the last of the foreign invaders), bronze and gold statues of Hindu gods and goddesses Shiva, Parvati, Mathumai Ammal (the consort of Shiva in his form as Koneshwarar) and Ganesha were unearthed. The statues which had been part of the festival procession during the destruction of the temple were found in 1950 when the Urban Council of the area dug for a water well close to the temple site. The statues were highly celebrated and reinstalled at the site. In an even stranger coincidence just six years later in 1956, the underwater ruins and original masonry of the temple was discovered by the author Sir Arthur. C. Clarke (the same year he migrated to the country to pursue scuba diving) and the photographer Mike Wilson whilst scuba diving. The ruins included many original stone sculptures, stone inscriptions proving the temple’s long history and most importantly led to the discovery of the original Svayambu (Self formed/ Natural) Lingam which had been worshipped in the main shrine room. The lingam is one of only 69 such natural lingams to have ever formed in the world. It is said to have been found in Mount Kailash, which is part of the Tibetian mountain range Kailash, and installed at the temple by the ancient King Ravana. The discovery was later published under the hand of Sir Clarke himself in 1957 in a book called ‘The Reefs of Tabrobane’. There the unearthed idols were described as being ‘among the finest examples of Hindu bronze sculpture known to exist’ and particular bronze statue of Shiva seated a masterpiece. With most of the important idols, statues and the lingam recovered the temple was reconstructed by the Tamil Hindu people of Trincomalee, though not to its original glory, and opened on the 3rd of March, 1963. In addition to these temple ruins, remains of Portuguese maps of the temple and various temple-related documents and artefacts were found amongst the wreckage. These were sent to the Ajuda Library of Lisbon (Bibliotheca da Ajuda) in Portugal. Amongst these artefacts was a certain document which turned out to be the translation of an ancient (even at that time) stone inscription that the Portuguese discovered on the temple premises. The inscription which was in Old Tamil, and was translated by De Sa de Noronha, had a twin fish sign (the Pandyan insignia, Pandya period is between 6th century BC to 16th century AD) and was a prophesy. As per the translation it says: O King! The franks shall later break down the holy edifice built by Kulakoddan in ancient times; and no future kings of this island will rebuild it! Following the successive reigns of the cat eyed, the red eyed and the smoke eyed nations it will voluntarily revert to the Tamils. The meaning of cat eyed, red eyed and smoke eyed are unknown. However in retrospect they are assumed to mean the Portuguese, Dutch and British respectively. Thirukoneswaram is a temple visited by those from many cultures and countries. Famed all over the world people arrive by the boatloads daily to see the ancient site. In the temple and around it are many pilgrims doing their best to give their services to God Shiva; whether it is something as simple as stuffing little paper packets with Holy Ash or something more difficult like sweeping the grounds. As an elderly lady there stated, ‘to see Koneswar and to serve him is a calling’. The temple is reached by a long road which was once part of the original pilgrimage path. The entrance has a huge old arch which appears to be from the time of the Portuguese. While there were once various shrines alongside the road, now the sides are covered in high walls and barbed wire as the land has been claimed by the Sri Lankan Army. Many parts of the temple, such as the holy bathing pond and etc, are now appropriated by the SLA as well. They are only open on the final days of the temple’s annual festival in April. Vehicles are allowed up until quite close to the summit of the promontory, which is relieving as the sand and tar road turns burning hot during the heat of the day. No footwear is allowed from the point where the vehicles stop. Near the entrance of the temple is an ancient high relief sculpture carved into living rock and painted. The relief shows the family of God Shiva; including his consort Parvati, and two sons Gods Ganesha and Murukan. A few wide tiled stairs lead to the summit; a more recent addition. Somewhere along the third stair or so, there is a tiled tub built which is kept filled with water. This is used to purify the devotees, so that they may wash their bare dusty feet before entering. The temple is at the end of a sandy courtyard at the top of the stairs. 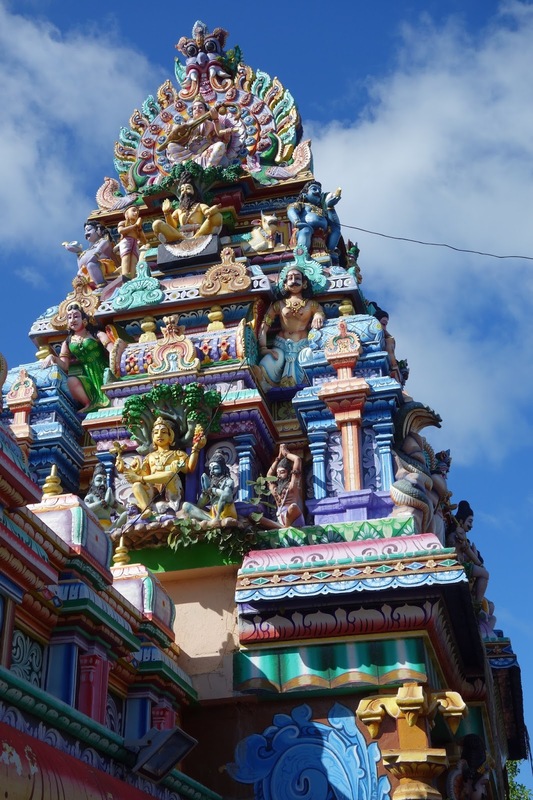 Koneswaram’s current gopuram, the faintly conical construction on top of Hindu temple buildings with the tiers of colourful sculptures, is averagely sized. The original gopuram would have been massive though, since its architecture was Dravidian. However the bas reliefs on it are beautifully done and depict the many forms of God Shiva, his vehicle the bull Nandi, images of the other gods, classical carvings of temple guard sculptures (the idea is similar to gargoyles in Gothic architecture), and various beautiful sculptures such as flowers and etc. The entrance facing the stairs is not the main entrance, but a side entrance. To the right of the right of the entrance is a massive God Shiva statue in the lotus position. The statue is newly made and painted and stands at least 14 feet, but fails to capture the calm, masculine beauty of God Shiva. To enter through the main entrance the devotees have to walk around the corner to the right next to the main statue. The main entrance is larger than the side entrance as is traditional. On entering the visitors are faced with the awe-striking sight of the ancient Svayambu Lingam, housed in the main shrine room or Moolasthanam (translation: centre point). The moolasthanam of Thirukoneswaram is slightly different in that unlike most moolasthanams it doesn’t have one shrine but two. To the left of the lingam (from the lingam’s view) facing towards the side entrance, is the shrine room of Koneswarar’s consort Goddess Mathumai Ammal. Both shrines are in a larger room which combined is the moolasthanam. The roof and insides of the temple are beautifully sculpted and painted colourfully. The pillar to the right after entering has a large image depicting all the shrines in the temple, and the order of worshipping them. In a nut shell the order is always in a clockwise rotation. One, three or five rotations may be made depending on the ease of the devotee. The same applies to each individual shrine as well, except the main shrine as it lies in the centre. The wall to the left just after entering bears a beautifully painted image of the temple as it appeared originally before its destruction 400 years ago. The painting is so well done it appears three dimensional such that it takes effort to realise that it’s not a bas relief. *The shrines can be walked around. However this is not to be done for the mini shrine. It is only to be worshipped after completing all your worship in the temple and walking back in the anticlockwise direction. The method of worship as a standard is to clap your hands thrice. In addition to these shrines there are some interesting additional features which grace the inner temple. All along the walls are painted reliefs of various scenes from the miracles done by God Shiva, and scenes from the history of the temple. They all have clear one line descriptions below them in the three languages Tamil, English and Sinhala letting all visitors easily gain more information. In a long shrine to the left of the main entrance are statues of the first four Nayanmars or poet-saints of God Shiva; Sampandar, Navukarasar, Sundarar and Manickavasakar. Another long shrine next to it has its wooden doors shut, and the priests said that they have plans to add statues of the other sixty Nayanmar there. The older stone idols around the temple are beautifully made with high amounts of detail, while the newer statues are comparatively basic. The bronze statues in the Eluntharuli are beautifully made but they are a rare sight, only to be seen during temple opening and closing pooja times, and festival times. They are kept closed behind a beautifully painted screen during all other periods. Pooja (brief religious ceremony by the priests) tickets can be obtained from the small office next to the Nayanmar shrine, and are price at Sri Lankan Rs 10 or Rs 100 (with coconut half). Various offerings for the poojas can be bought at prices between Rs 10 – Rs 200, in little shops outside on the road to the temple. On a good day visitors may get to try delicious, home-cooked, traditional jaggery milk rice or fresh fruits served by the locals who offered them for the poojas. In addition to these features within the temple, there are many interesting and exciting things to see out side. The temple has a small courtyard that is narrower towards the back, facing the sea. High, pillared wall surround it. 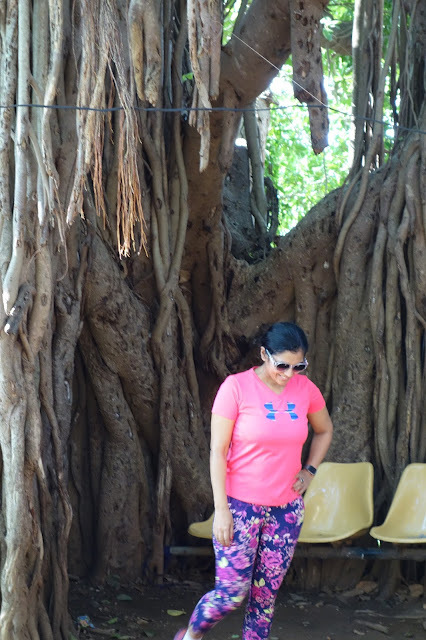 Towards the back is the sacred tree of the temple, a Vilvam tree, which is completely overloaded with little wooden cradles hung by devotees wishing for children. The tree has one of the original pillars from the old temple near it, though it is not very obvious to see. In front of the main entrance, a few feet away, is a large rock up cropping. A slight ramp along the rock face leads to two gates. One is kept closed by order of the SLA (as mentioned previously), and has steps leading to the sacred bathing pool of the temple which is used to wash the idols during festivals. A small shrine with a stone lingam below the shade of a five- headed snake is visible through the metal grating of the closed gate. To the right of that gate, penetrating through the rock itself is a path that is kept open. On passing through the cool shadows of the miniature tunnel, it quickly becomes visible that it is a very old section of the temple. The old rough-cut stone steps spiral around the rock face moving down shallowly. The most important thing to see here is a small natural cave with a truly old, painted stone sculpture featuring God Shiva. A close perusal of the dark and dusty walls of the cave reveals many ancient stone inscriptions. These are supposed to be parts of the earliest form of the temple. Other inscriptions are also carved into the rock face. A little further down the stairs facing the temple from the ocean, a giant golden idol of King Ravana stands in worship of the Svayambu Lingam in the temple. The statue stands on a risible metal platform and has hundreds of coins scattered by devotees at its feet. 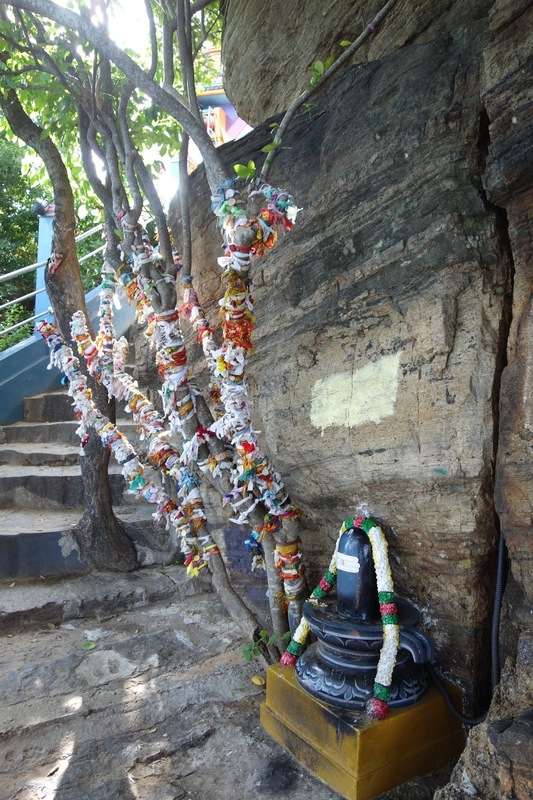 A few other smaller shrines are also carved into the rock face along the way, before the stone staircase climbs back to meet the temple courtyard slightly further from the tunnel type entrance of this secretive area. There were once many other shrines around the main temple of Koneswaram. They were a part of the temple, and devotees worshipped them on their way to the temple or after completing their devotions at the main shrine. However most of these have been destroyed during the invasions and wars that have plagued the East of Sri Lanka. The Sri Pathrakali Temple (devoted to the Hindu goddess Kali) is all that remains of the once majestic and widespread shrines that littered the landscape of Thirukonamalai. 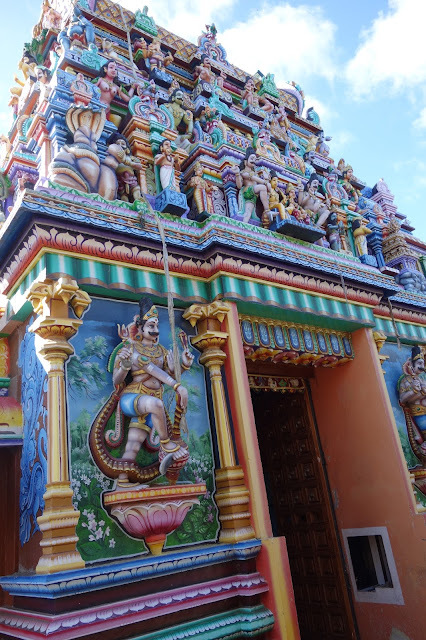 The temple lays a couple of kilometres or so down the road to Koneswaram. It’s quite huge and maintains most of its original structure with sprawling halls and beautifully sculpted and painted sides. The temple is quite well known; and though it now acts as an entity separate from the main temple, the thread of connection comes into play during the annual festival of Koneswaram. At this time the procession bearing the idols from Koneswaram, visits the Pathrakali temple as per the tradition. The temple is best visited after viewing the main temple, Koneswaram.